Biology and wildlife photography blogs are usually filled with tons of juicy details about exotic travels to remote locations, sometimes including great amounts of trouble searching for their desired subject. Today I would like to talk a bit about the exact opposite occurrence: when a really cool organism literally comes to your personal abode. This first example is from June 2014, when I was living in Davis, California. 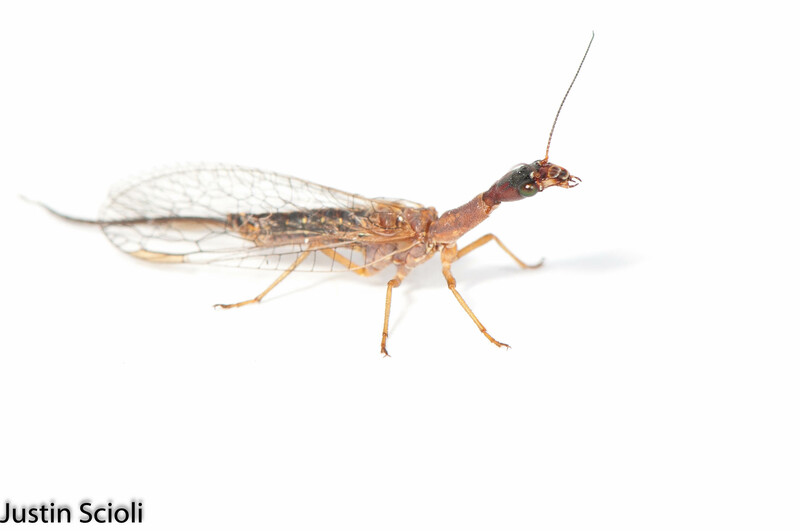 This snakefly in the genus Agulla came into our house through a window and landed on a wall. Now granted, these aren’t the rarest or most obscure creatures to people who live in places where they are abundant, but as a native New Yorker I can count the times I have seen a Raphidiopteran on one hand. 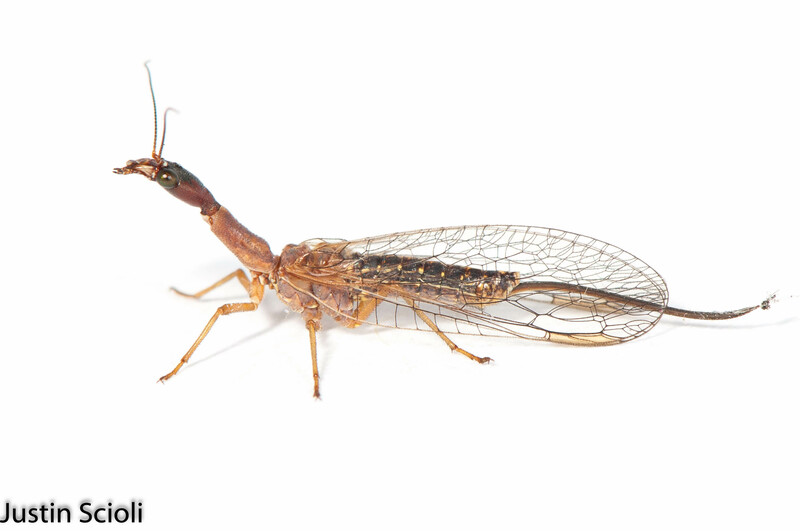 Given that this specimen has ocelli on its head, we can be sure that it is in the family Raphidiidae (as opposed to the other extant family of snakeflies, the Inocellidae). There is only one genus in this family in North America, Agulla. Unfortunately, it seems that in order to identify this group beyond genus it takes looking at internal characters of an in-hand specimen so I will have to be satisfied with a genus level ID. This next example comes from just this past week in my present home of Lafayette, Louisiana. My girlfriend knew I would be excited when I saw this strange insect on the front door of our apartment. 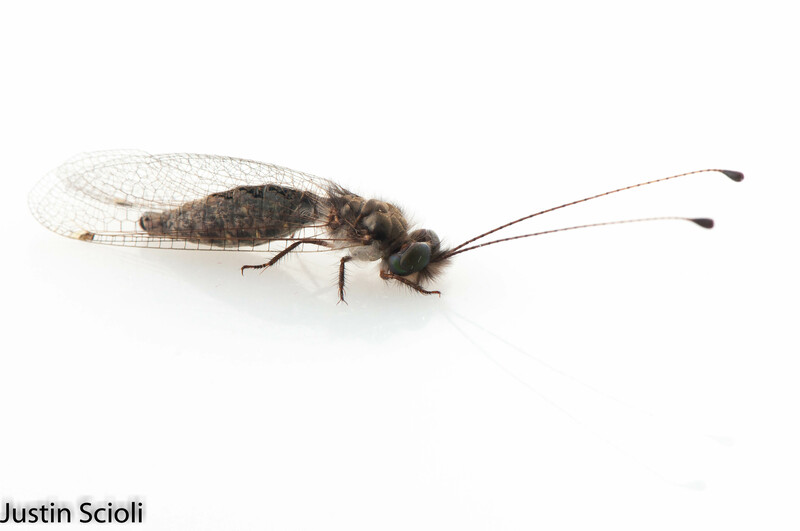 It’s clubbed antennae made me think at first that this was a Lepidopteran (a butterfly or moth), but it turns out to be a relative of the lacewings and antlions, in the order Neuroptera. It is in the family Ascalaphidae, the owlflies, and its separated eyes suggest that it is in the genus Ululodes. A dorsal view of the sculptured thorax. This animal conjures the image of a weird experiment gone wrong: the antennae of a butterfly, stuck on the head of a robber fly with the wings of a lacewing. I’m probably being a bit rude to the owlflies with this comparison. This observation has me excited in another regard: where there are adults, there must be juveniles. 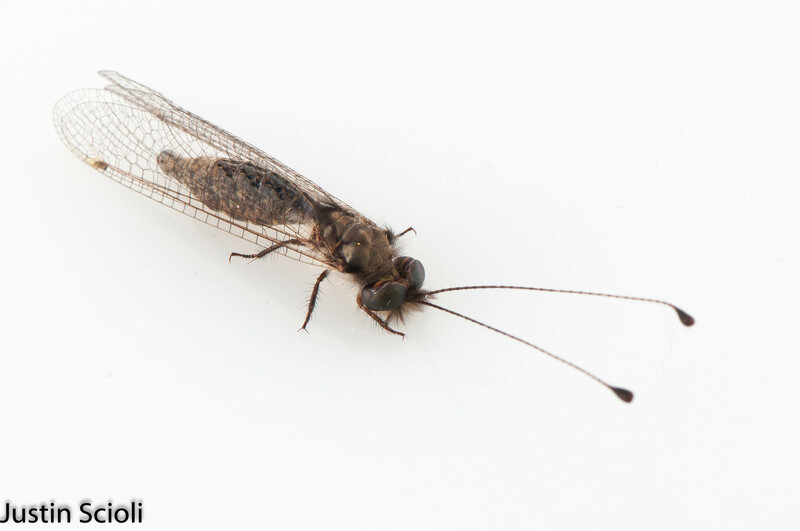 And the owlflies, like their relatives the lacewings and antlions, have cool predatory larvae that I would love to find. It would be awesome to find the larvae!